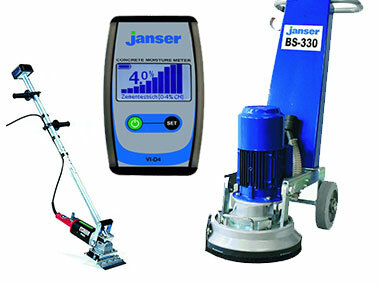 Janser offers a vast selection of innovative, efficient, and easy to use professional flooring tools, supplying the flooring and associated industries nationwide. We provide the very latest in floor installation technology – for contract and domestic projects – covering tools for vinyl, wood, rubber and carpet installation. Also, a comprehensive range of workwear and protective gear is stocked, keeping installers comfortable and safe on site. So whether you need to prepare, cut, seam, weld, polish or whip your floor, we offer the best range of products available. Janser’s aim is to make professional flooring installation easy, through fitters having the latest and the best equipment!